We are loving our Summer discovering more of Northumberland and thanks to the brilliant Summer of events put on by Great Northumberland we are learning far more about our favourite county whilst getting out and about in the sunshine. At the weekend we headed to Alnwick, one of our favourite little towns in Northumberland and home to the award winning The Alnwick Garden, for a celebration of Northumbrian music and dance. A musical day out for all the family, it promised a day of discovering Northumberland's music traditions whilst enjoying the sunshine and beautiful gardens. What a way to spend a Sunday! 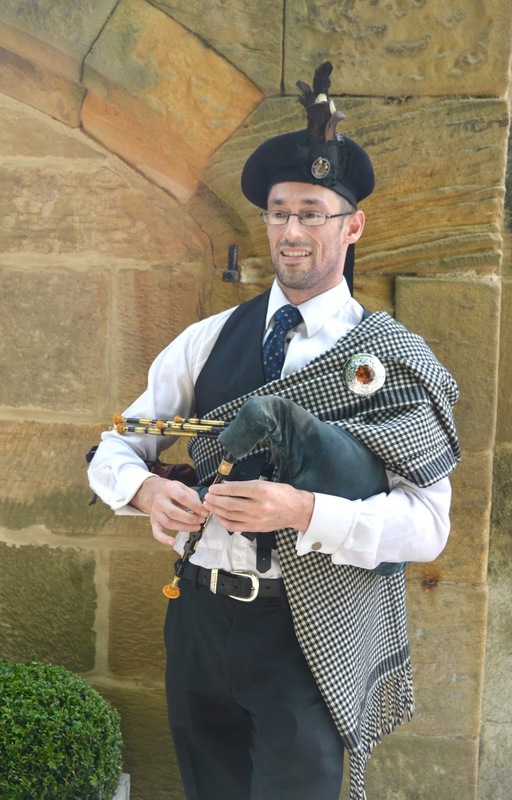 We arrived at Alnwick Gardens for their opening at 10:00 am and were greeted through the gates by the Northumbrian Smallpipes which I'll admit I had always thought were little wooden pipes rather than a bag pipe style instrument. How silly do I feel now? We'd not even made it through the gate and I was already learning something! It was a very hot day in Northumberland so we spent quite a lot of our day lying out on the grass by the Grand Cascade Fountain, people watching and enjoying the wonderful music played by the young musicians from the Duchess of Northumberland's Busking Scheme. 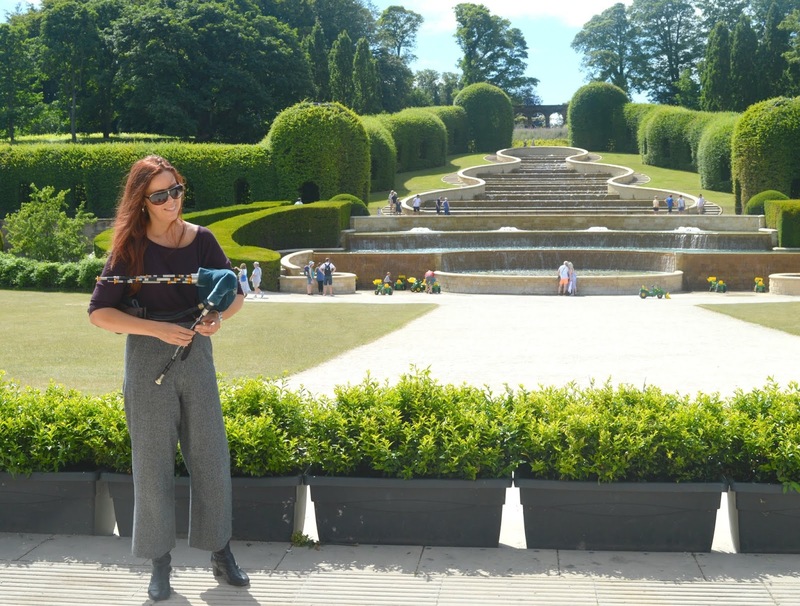 Showcasing the amazing talent that we have in the county, the buskers performed at various points throughout the gardens. A young girl playing the pipes was particularly impressive and we enjoyed some wonderful violinists too. I love that children are still picking up traditional instruments and learning the beautiful songs of Northumberland's past. 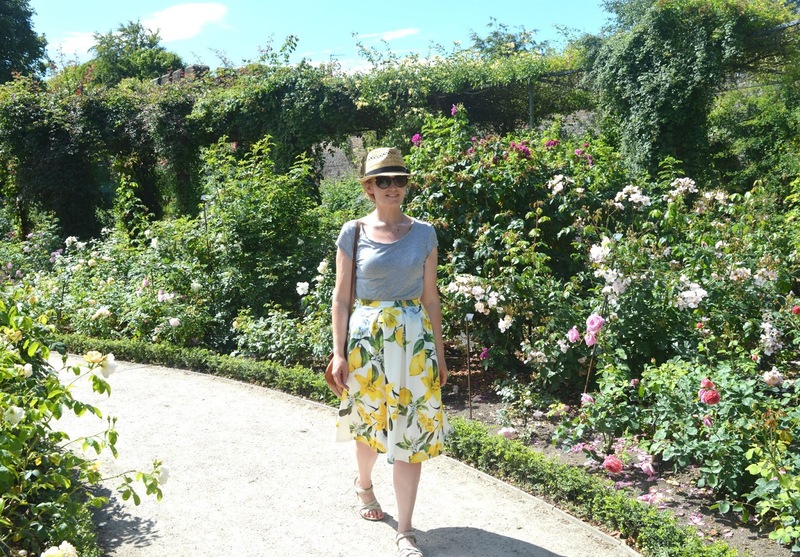 The gardens are beautiful to wander around in the sunshine and having only ever visited the garden before in Autumn and Spring I personally think that Alnwick Gardens truly comes to life in the Summer months and the colours and smells as you explore really are something else. 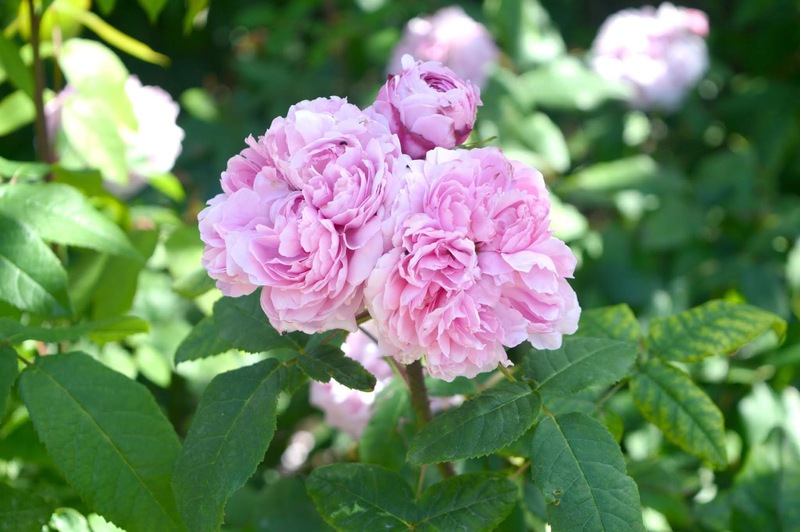 The air was thick with the sweet smell of roses and with the gentle breeze carrying the sounds of the Northumbrian music across the gardens it was such a peaceful and relaxing way to spend a Sunday afternoon. A recent addition to the gardens, and something that Simon insisted we got involved in is the Forgotten Garden Adventure Golf course which costs £3.80 if you have a ticket for the gardens. Beautifully landscaped and nicely tucked away in the shade (essential on such a hot day!) they are well worth a visit next time you're at the Gardens. 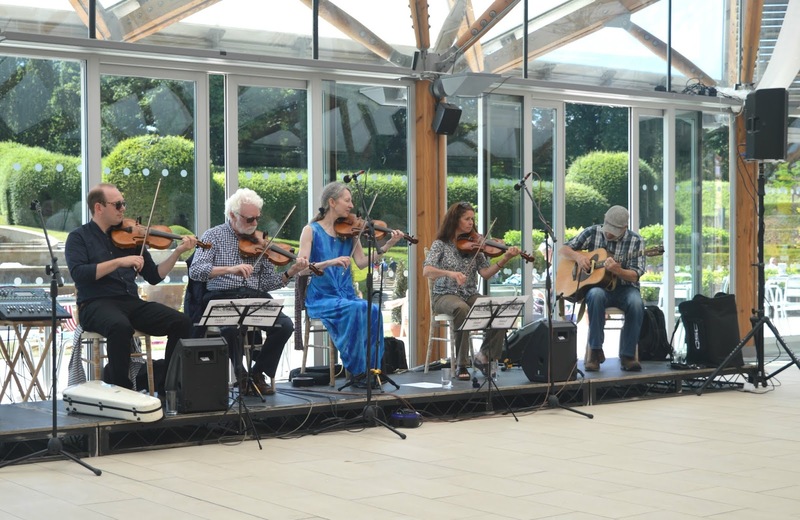 The real show stopper of our day was the family friendly Ceilidh hosted by the fantastic Windy Ghyl, a traditional ceilidh band who amazingly managed to get loads of people up dancing despite the soaring temperatures. The easy to follow steps made the routines simple to follow even for dancing newbies like us and the traditional stories that each dance told really added to the fun. I loved watching everyone join in from older couples to young mums with their babies - everyone was having a fantastic time. I only wish I could spend every Sunday in beautiful surroundings swinging Simon around to the sound of violins - it was such a great way to end the weekend. Experiencing Alnwick Garden with traditional Northumbrian music really did add something special to our day out and if you're planning a trip to the gardens this Summer I highly recommend that you pop along on Sunday 29 July, Saturday 4 August or Saturday 11 August where you can experience it for yourself.